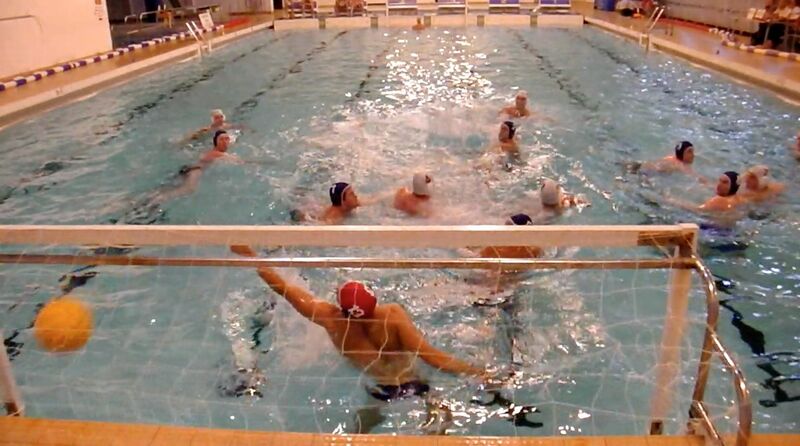 The water polo section of Reading Swimming Club is always looking for new members to join its well established teams. The men's team plays in the London League, Division One. They are currently coached by David Baxter, who also plays for the Scottish team Caledonia. As the only team in Berkshire, we are also the County representatives for the Berks and South Bucks region. We do not currently have a ladies team, but have had a very successful team in the past with players going to to represent National teams, and we are always looking for ladies to boost the numbers. So if you've played water polo before, or are just bored of swimming up and down, then please feel free to get in contact or come along and join us. There are some interesting Water Polo links .. wikipedia, and a YouTube guide to water polo video. For further information please contact our Water Polo Secretary.